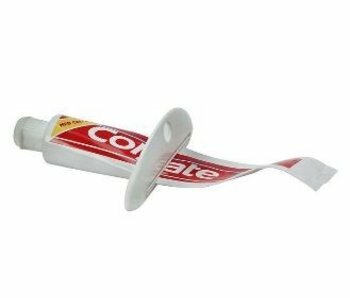 A cotton strip with two handles makes difficult places to reach: eg the feet or the back. Mounted on a plastic non-slip foot. 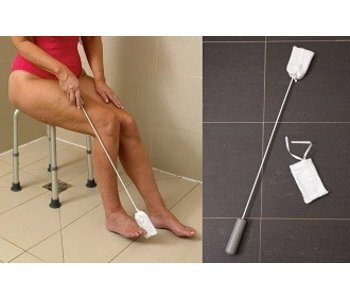 Lightweight brush to scrub easily back or legs. 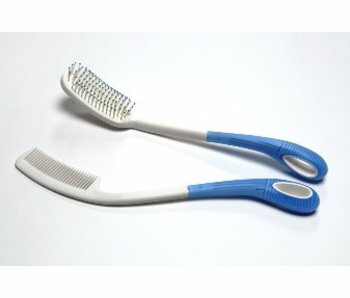 Very soft brush to avoid injuries. 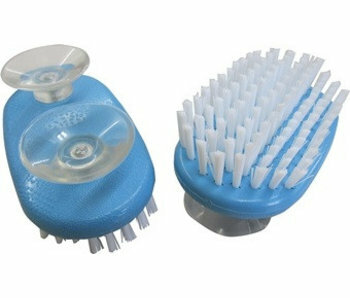 This brush helps people with restricted movement of their feet and toes can not or difficult to reach. Pastel-colored sponge with a thickened gray handle. For people with little strength, but with the function of two hands. Very nice range of elongated brushes, quality in Scandinavian design. Well balanced and therefore easy in the hand, with the least strain on the joints. 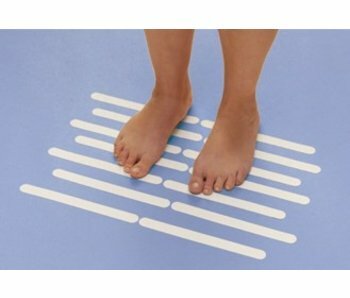 Shower / bath mat perforated natural rubber. The material is mold and bacteria. 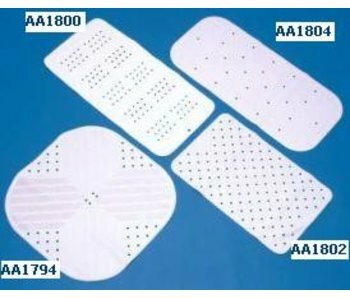 Adhesive strips of soft touch vinyl / rubber. Very nice range with ergonomic design which makes them very comfortable and with little pressure on the joints. Long handles with an enlarged eye so that little power is required. The cutting surfaces are at a slight angle and are very slightly toothed, so that they do not slip away during cutting. 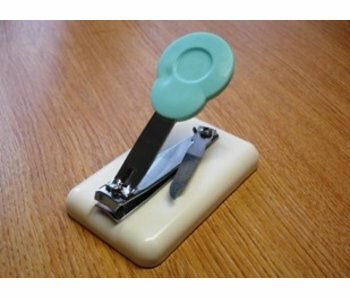 With 2 suction cups to fix so that one can easily clean the hands, feet, nails without needing 2 hands.